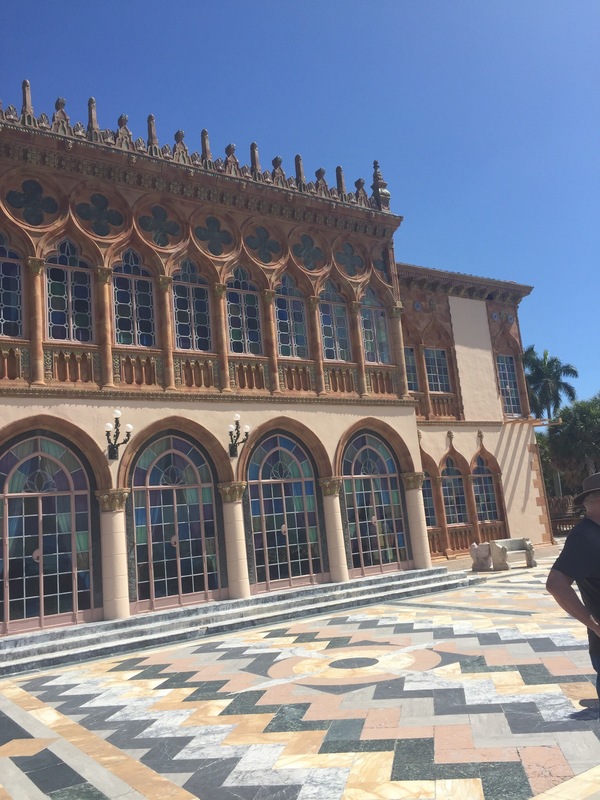 Recently while I was visiting friends in Florida we spent the day at The Ringling (ringling.org) in Sarasota. 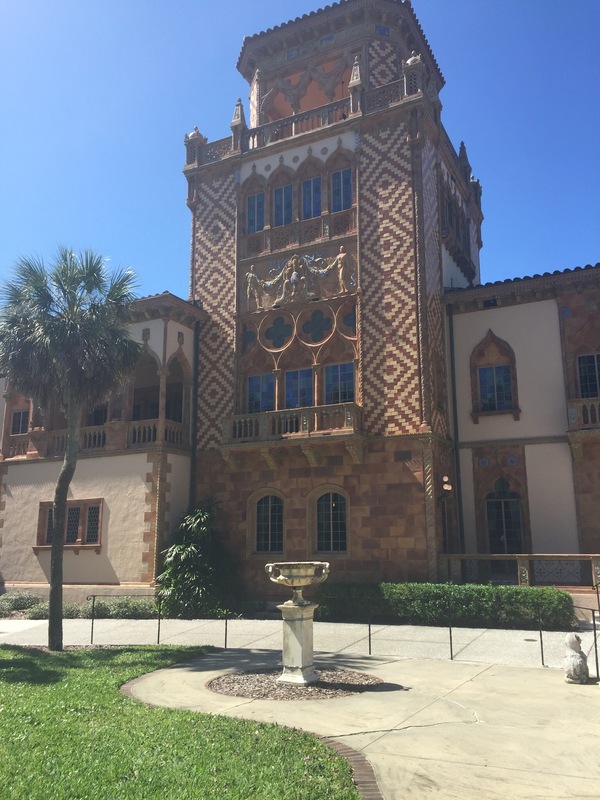 The Ringling includes Ca’ d’ Zan – the winter residence of John and Mable Ringling, the Circus Museum and the John & Mable Ringling Museum of Art as well as beautiful grounds and a performing arts center. John and Mable Ringling had no children. 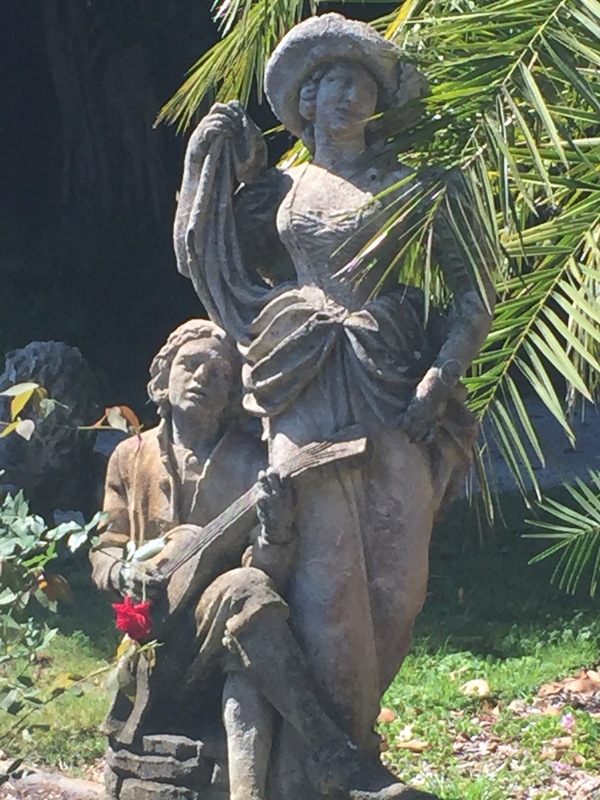 Mable would predecease John and so when he died in 1936 he left the mansion and art collection to the people of Florida. It is worth a visit. Ca’d’Zan means House of John in a Venetian dialect. “The couple hired Dwight James Baum, an acclaimed New York architect, to create their mansion in the Venetian Gothic style. 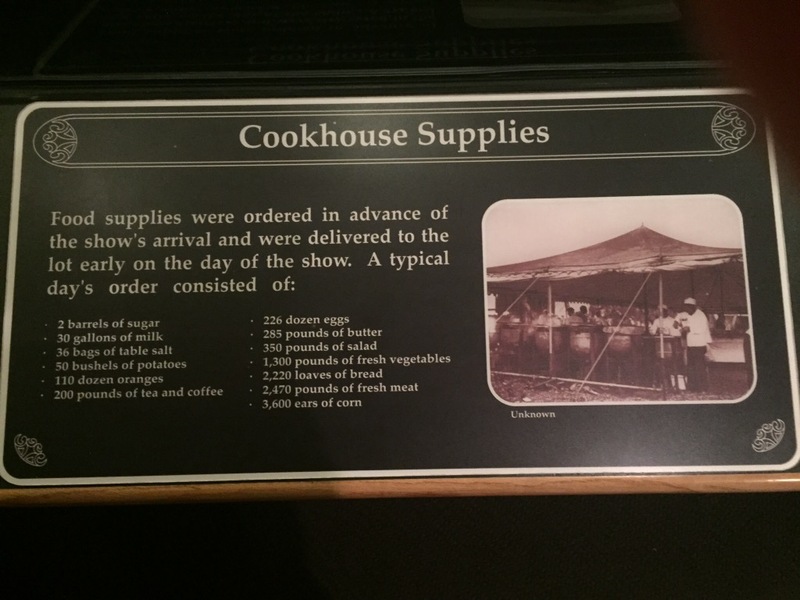 Begun in 1924 and completed in 1926, the house cost $1.5 million to construct, or approximately $20.9 million today.” You can only enter the house on a guided tour. The mansion is lovely. Mable’s attention to detail as mentioned numerous times by our docent is everywhere. Mable even had the back of the medicine cabinet doors painted with scenes of nature. 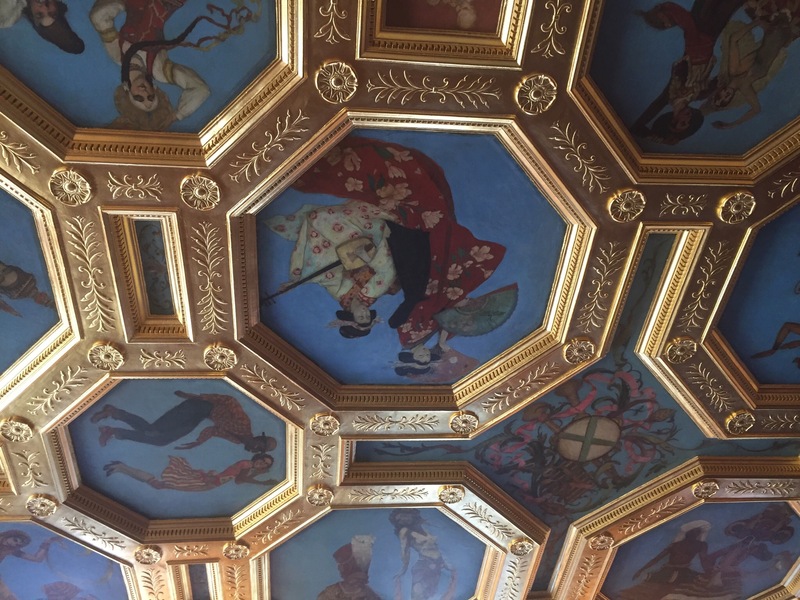 The ceilings have beautiful sometimes whimsical murals and the chandeliers are exquisite. 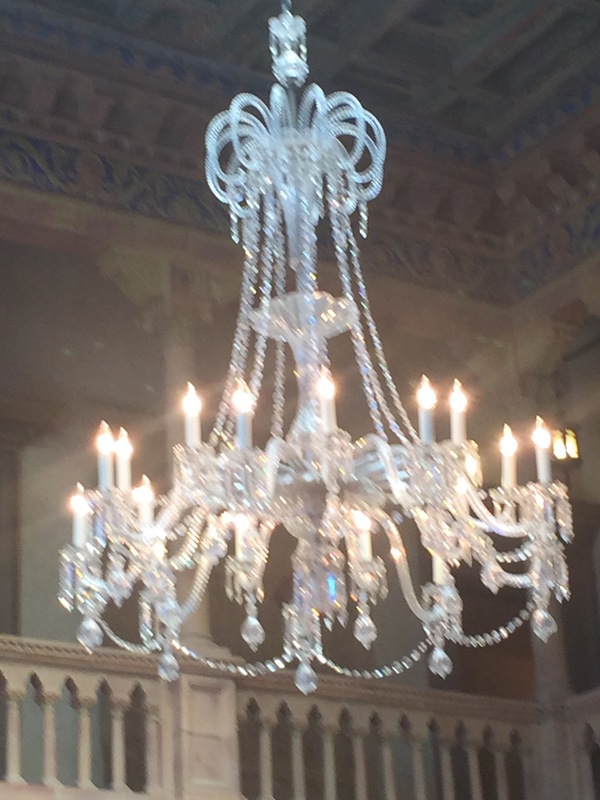 The chandelier in the main living space, The Court, hung in the original Waldorf-Astoria in New York City. John and Mable bought most of their furniture and fixtures from auction houses in New York. The mansion is decorated with the original furniture. Having taken quite a few tours, I can tell you a house still containing the original furniture is not the norm. Throughout the house there are stands with photos taken by Mable that give an additional insight into her daily life at Ca’d’Zan. After the tour, my friends said “it’s your choice – art museum or circus museum?” I responded “oh, that is tough. 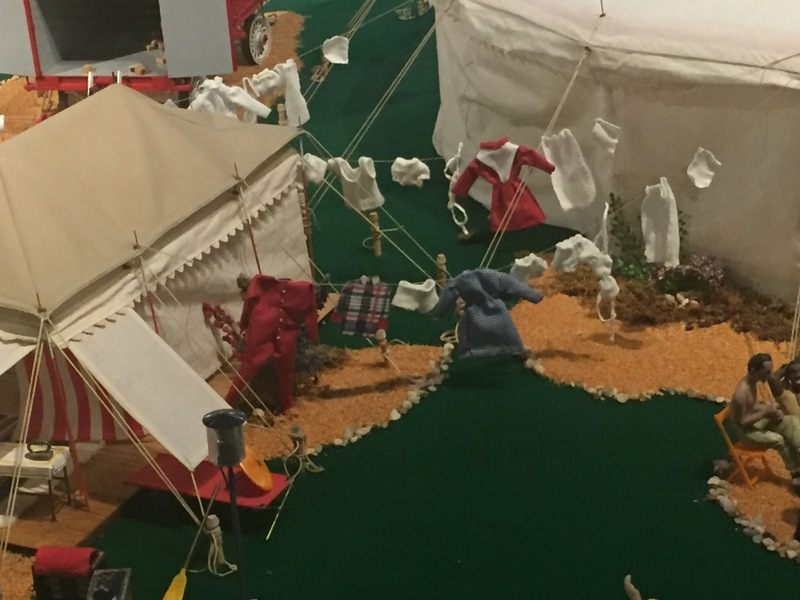 Should I go with my inner child or be a grown up?” My friends commented they were confident that they knew what I would pick and they were right – Circus Museum. 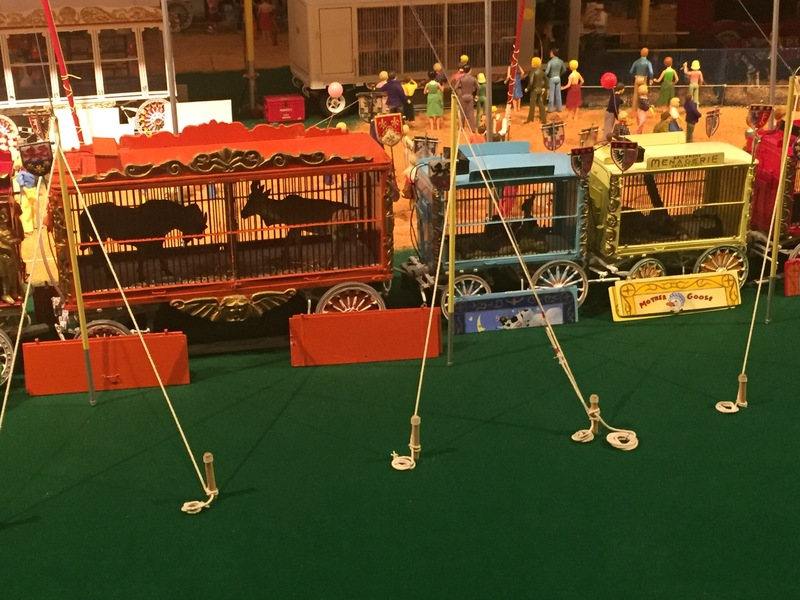 As much as I enjoyed the beautiful gardens and learning about the mansion, the Circus Museum was my favorite. It brought back memories of attending the circus as a child. 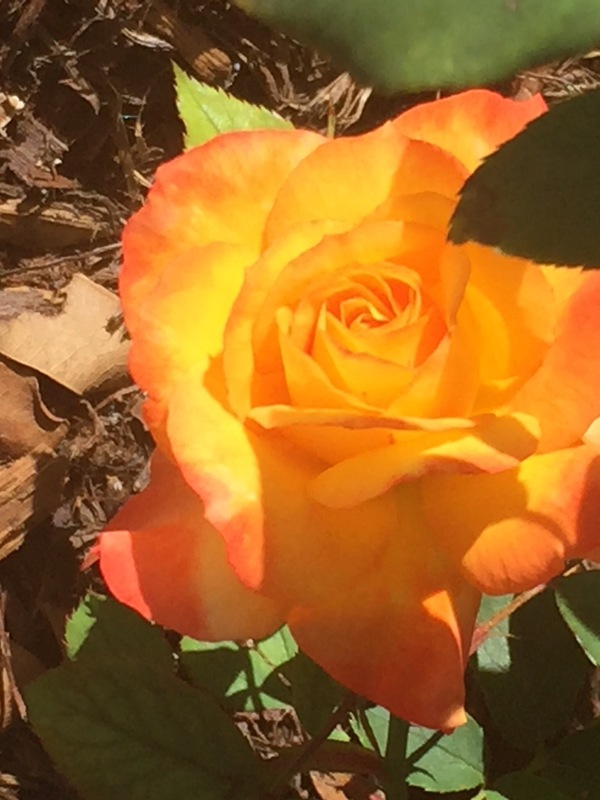 The smells, sounds and sights all came flooding back with wonder and awe. Things I hadn’t thought about in years. 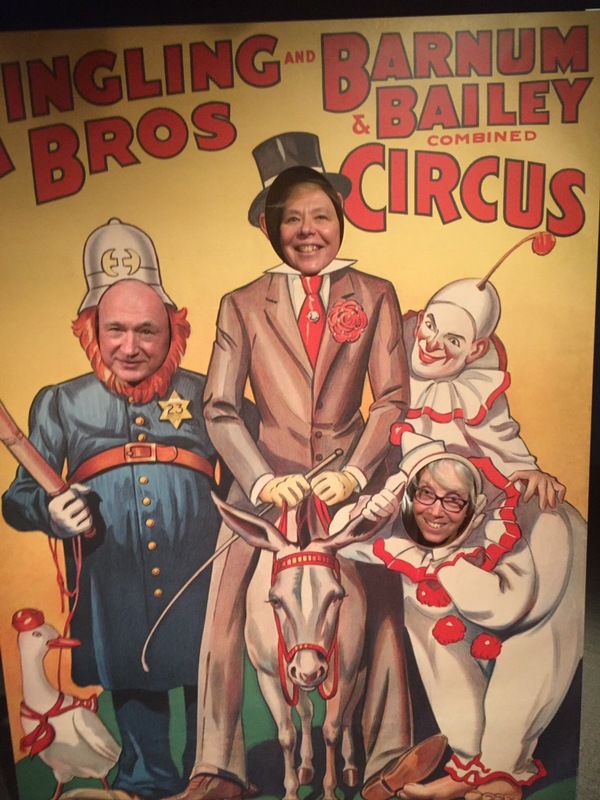 It was interesting because I had taken my children to the circus but the memories that bubbled up were from childhood. The fear that someone would get eaten by a lion or that the guy would fall off the tightrope. My delight when the little dogs jumped over each other or my amazement at how the performer could stay balanced on the galloping horse. The sight of elephants parading and the silliness of the clowns. 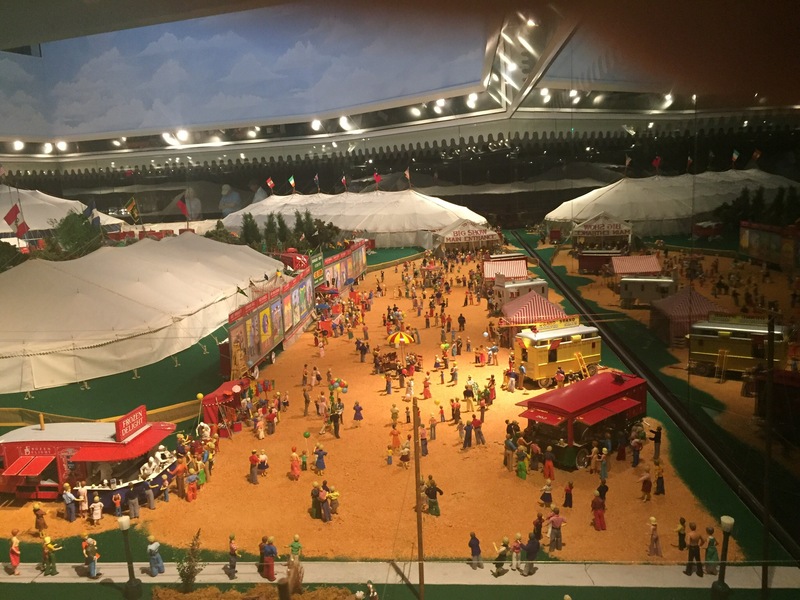 The Circus Museum has a wonderful “train set” display that depicts the circus coming to town and explains the process. It was fascinating. There was a certain sadness that hung in the back of my mind has I explored the Circus Museum. The knowledge that the Ringling Brothers and Barnum and Bailey circus was no more. Check out my photos below. And if you are in the area, plan a visit. It is a little pricey but worth it. Thank you to my friends who “treated me” to a great day.